One Web Development Firm, All Bases Covered. Back in the day, all computer screens came in one flavor. Beige, large, heavy, and with 15" of viewable space. Now, practically all screens (people browse the web from their fridge now) can access the web. 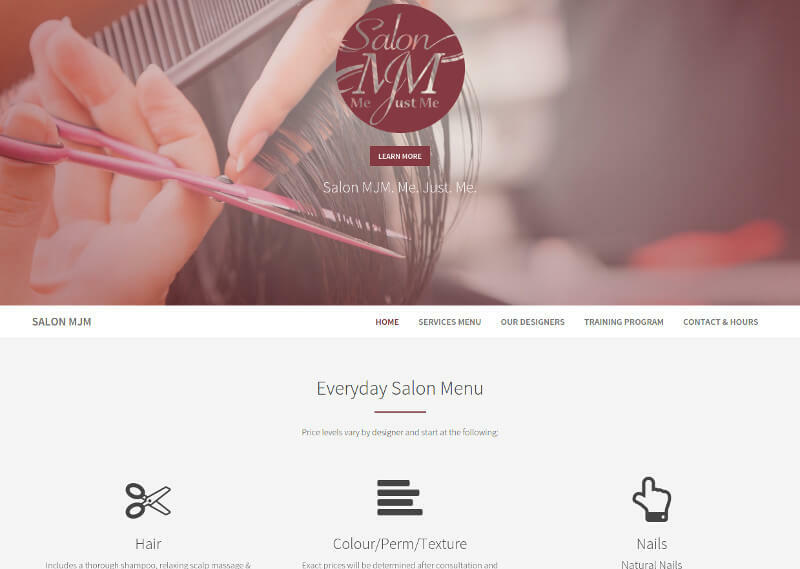 We design your site so that your potential clientele sees your information attractively, regardless of their device. Everyone wants to get to the top of Google, Yahoo and Bing -- and we want to help you achieve that. Using the industry's best practices, we manipulate your code and listings to give you the best chance to be discovered by new customers. Berson3 Computers is a hosting brokerage that buys large plots of server space and then uses that buying power to provide top-notch packages at pricers lower than you can acquire them for yourself. Our hosting has secure AV scanning and redundancy, meaning our software worries about your site so you don't have to. A small selection of our web projects. 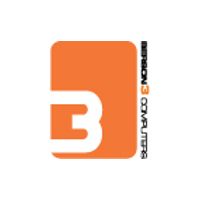 In the middle of 2006, the boutique computer company needed a new website. 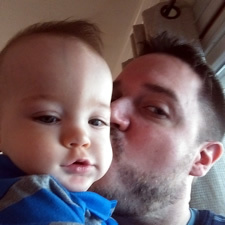 Harkening back to the coding lessons learned while obtaining a B.S. in Computer Science at Elizabethtown College, we decided to try our hand at it. 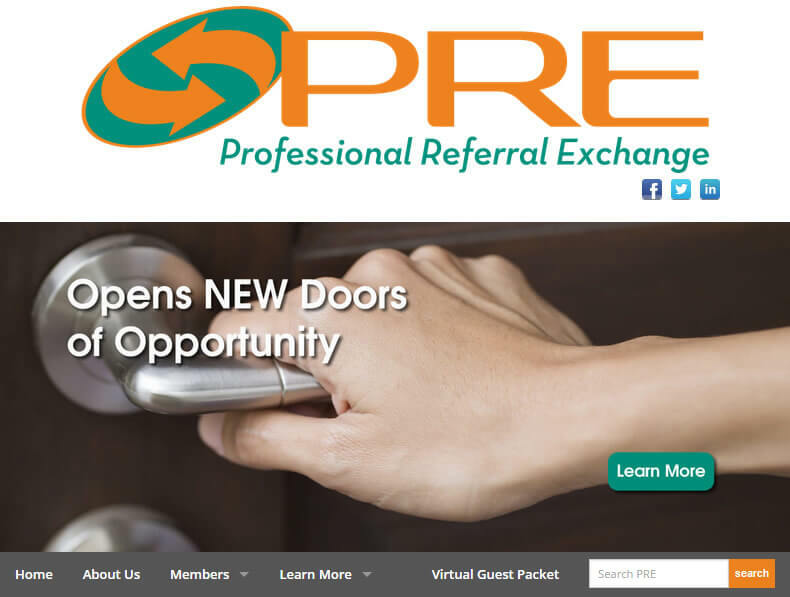 Later in 2007, an opening at PRE (Professional Referral Exchange) popped up for a web developer -- we haven't looked back since. Oh, and our awesome new logo was created by Michael Robinson of Neato Advertising...check him out. In this window of time, Berson3 became more of a web authority rather than a upstart freelance company. The company added SEO to its profile, creating hits for companies looking to further their web presence. 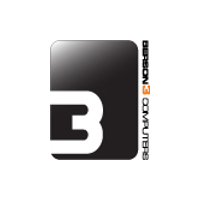 Database management and server side coding also came to the forefront of what Berson3 provides. Responsive design, advancement of the SEO playbook, optimized web development, and in-house change to Linux for our computing systems. Exciting stuff. Who am I kidding? It's just me. Well, and him. 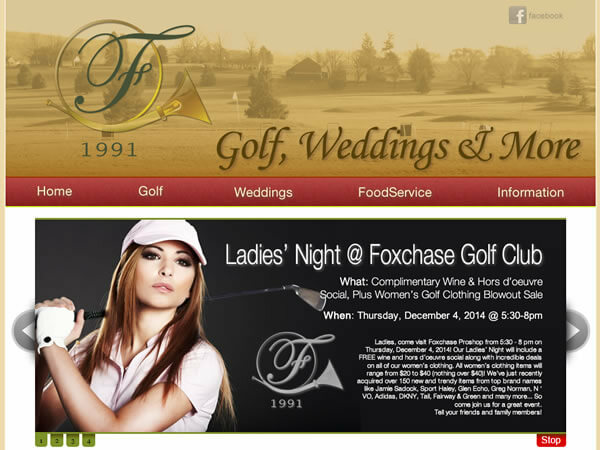 A public golf course with a country club type setting, Foxchase Golf Club provides the Central PA golfer a beautiful course and terrific facilities all without the huge annual fee. 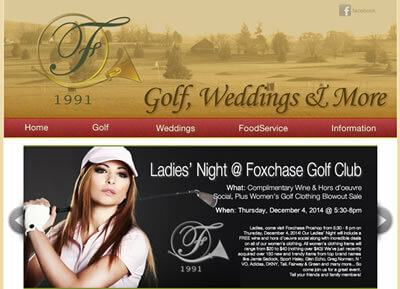 Berson3 updates, maintains, hosts, provides SEO and designs the Foxchase Golf Club website. 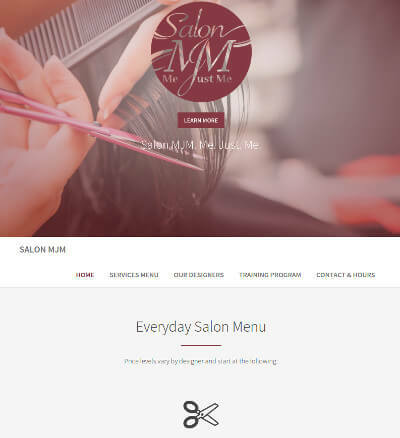 Salon MJM is a full service salon located on Main Street in Denver, Pennsylvania. Offering a wide array of services at competitive prices, you'll never feel this comfortable in another salon. Berson3 takes on the full challenge of hosting and responsively designing the MJM website. We respect your privacy. We do not not share, sell or rent any of our customers’ information. If you have any questions or comments, please contact us. 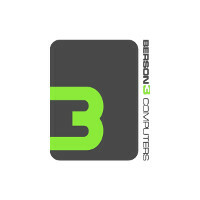 When you visit www.berson3.com (henceforth referred to as "this site") or send us e-mails, you are communicating with us electronically through the world wide web. You also consent to receive communications from us electronically via e-mail or through this site. 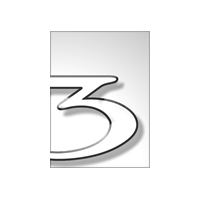 We may also communicate with you by posting notices and more on this site. You agree that all agreements, notices, disclosures and any and all other communications that we provide to you electronically satisfy any legal requirement that such communications be in writing. As a visitor of this site, you may submit suggestions, questions, or other information, as long as the content is not illegal, threatening, obscene, defamatory, invasive of privacy, infringing of intellectual property rights, or otherwise injurious to third parties. Said comments and suggestion should not be objectionable and should not consist of or contain software viruses, political campaigning, commercial solicitation, chain letters, mass mailings, or any form of "spam" that may be harmful to this site or its customers. You may not use a false e-mail address, impersonate any person or entity, or otherwise mislead as to the origin of a credit card or other content to gain access to this site, its products or services. We reserve the right to make changes to this site, these terms and conditions and/or any policies listed herein at any time and at our discretion. If any of these conditions shall be deemed invalid, void, or for any reason unenforceable, that condition shall be deemed severable and shall not affect the validity and enforceability of any remaining condition. This site is provided on an "as is" and "as available" basis. We makes no representations or warranties of any kind, express or implied, as to the operation of this site or the information, content, materials, or products included on this site. You expressly agree that your use of this site is at your own risk. To the full extent permissible by any applicable law, we disclaims all warranties, expressed or implied, including by not limited to, implied warranties of merchant ability and fitness for a particular purpose. We do not warrant that this site, its servers, or any e-mail sent from this site are free of viruses or other harmful components. We will not be liable for any damages of any kind arising from the use of this site, including but not limited to, direct, indirect, incidental, punitive and/or consequential damages.